The Coffee Festival is in town! All the famous restaurateurs and baristas are there, and Jo dreams of winning first prize. The first step to fulfilling this ambitious goal is to open a coffee shop. 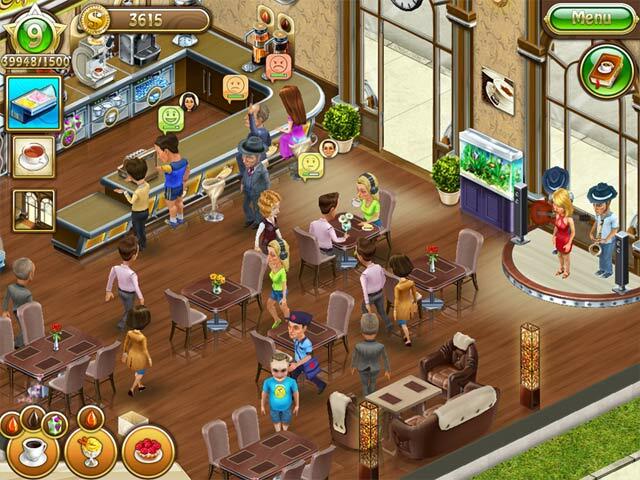 Help Jo meet the challenges of running a cafe in this fast-paced time management game, with the ultimate goal of turning Jo's little shop into her very own trendy restaurant. Work hard and the Coffee Festival First Prize could be yours in Jo's Dream: Organic Coffee 2! 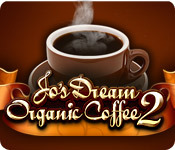 Jo's Dream Organic Coffee 2 is rated 3.3 out of 5 by 57. Rated 5 out of 5 by Buckeyebabe13 from SO much love for this game Please please please make more of these games! I love the added quests and decorations. My favourite game! Rated 5 out of 5 by kohlphil from cool game make an android version please! 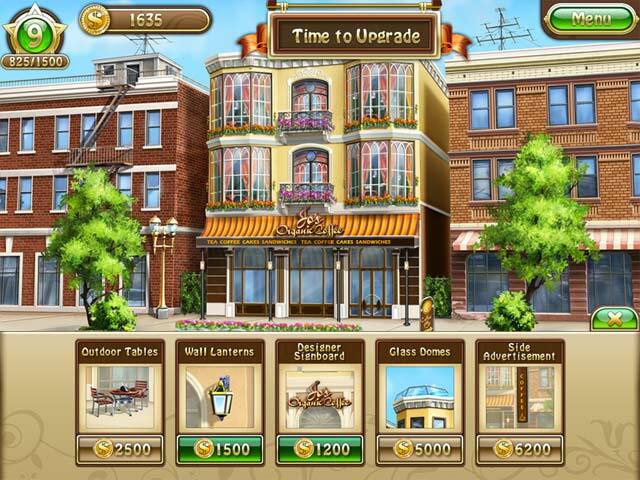 Rated 5 out of 5 by cloudy999 from Terrific game! I think this is an awesome game because it can be built upon and is challenging at the same time. Rated 5 out of 5 by writer3 from Great game!! This one is as good as the first, if not, better. I've bought both games; thoroughly enjoyed both. 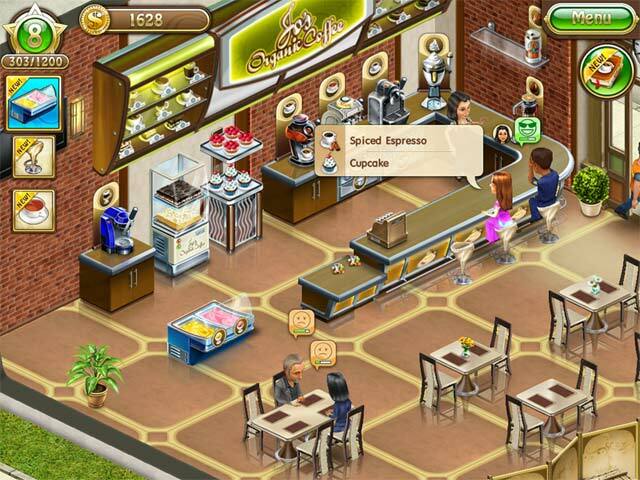 My only drawback is that the cafe in this one looks too similar to the first one. It could've used a different atmosphere or design. Other than that, I do hope they come out with a third. Rated 5 out of 5 by lorishere1 from Winner I love this game. I also played the first one and it is one of my favorites. Help fill orders, tons of upgrades, hire employees, and fullfill achievements. We need more games like this!! Rated 5 out of 5 by flojoagd from Awesome Time Management Game Love the graphics and challenges. Almost makes me feel like I can WORK and OWN my own STARBUCKS!...then REALITY creeps back...hehehe! Rated 5 out of 5 by vmsbelle from Worth the price This game takes everything that really didn't work in Joe's Dream Organic Coffee (1) and fixed it to make a truly smooth and polished sequel. A lot of fun! Rated 5 out of 5 by michelle1187 from Super Fun Game! I absolutely love playing this game! It's a lot like the 1st one but, with some improvement. Unlike the 1st game you're able to fill one order at once (For example: you can have the drink and sides ready before you serve it to the customer instead of one item at a time) doing this allows for a better pay off at the end. You're now able to accept or decline phone orders and, it might just be me but, it seems like the AI works better too with placing orders and collecting them to serve to the customers. I do miss being able to restock the shelves whenever I wanted using the storage room and also being able to let the band play whenever I clicked on them (in this game there's about 1 minute break between songs). Overall, it's a great game and lots of fun. Hope there's a third installment! Help Jo open a new coffee shop and win the grand prize at the prestigious Coffee Festival!